On Palm Sunday, we retell the story of Christ’s entry into Jerusalem. Our children’s choirs will lead the congregation at the 11:00 service in waving palms and will sing with the adult choir. That afternoon, families are invited to return for the Family Easter Festival at 3:00 pm in the Fellowship Hall. 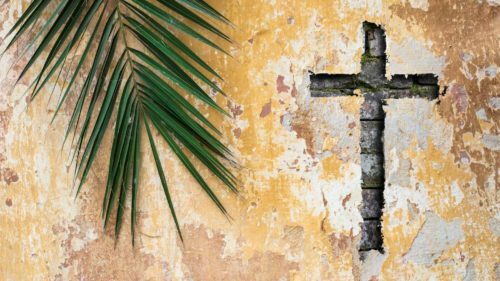 This event provides an opportunity for children to learn about the events of Holy Week in a creative way (and gather a few eggs along the way!). On Maundy Thursday, we remember Christ’s last supper with his disciples and his command for us to love one another. At 7:00 pm in the Fellowship Hall, we will host a Maundy Thursday service in partnership with several of the downtown churches. On Good Friday, we remember Christ’s suffering and death. While we will not have a service at First Baptist, our friends at Trinity Episcopal Church will host a Good Friday service at 12:00 pm where all are invited. On Easter, we celebrate the good news that Christ is risen! Our schedule for the day will be our usual Sunday schedule (8:45 and 11:00 worship, 9:45 Sunday School). Join us as we celebrate the resurrection!